He is an unrepentant feminist. Justice S.K. Date-Bah, Chairperson of the Executive Council of the Africa Digital Rights’ Hub. Justice Samuel Kofi Date-Bah is also currently Chairman of the Electronic Communication Tribunal and Chairman of the Law Reform Commission. He was a member of the Supreme Court of Ghana from 2003 to 2013. Prior to that he served as a Special Adviser (Legal) at the Commonwealth Secretariat in London from 1984 till 2003. 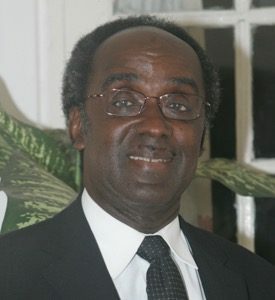 He had earlier been a law Professor at the Universities of Ghana, Nairobi and Calabar (Nigeria), with visiting appointments at Lincoln College, Oxford and the Yale Law School. 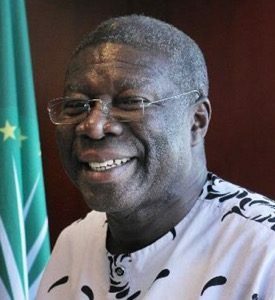 He was educated at the University of Ghana (LL.B, (first class honours) 1965), the Yale Law School (LL.M, 1967) and the London School of Economics (Ph.D, 1969). He was called to the Ghana Bar in 1969. He was elected a Fellow of the Ghana Academy of Arts and Sciences in 2000. He is also a member of the International Academy of Commercial and Consumer Law and was a member of the UNIDROIT Working Group which formulated the UNIDROIT Principles of International Commercial Contracts. He has published extensively on Ghanaian law and international commercial law. His latest book is entitled: Reflections on the Supreme Court of Ghana (2015). After retiring from the bench, he continued to be Chairman of the Ghana Law Reform Commission and the Data Protection Commission of Ghana till January 2017. He Chaired the National Data Protection Conferences held in Accra in 2016 and 2017. He was re-appointed Chairman of the Law Reform Commission in 2017 He was decorated with the Order of the Volta in 2015. 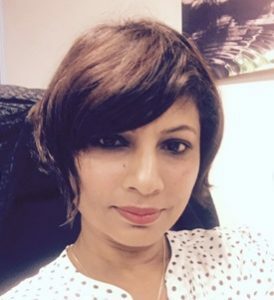 Mrs Drudeisha Madhub, Data Protection Commissioner, Mauritius. I completed my LL.B at the University of Mauritius in 1998 and was also the Vice-President of the Student Union of the University at that time. I then took part in the 1999 bar exams of the Council of Legal Education in Mauritius and came out first amongst the seven successful candidates and was awarded the first prize. I joined the Attorney-General’s Office in August 2001 and stayed there for six and a half years as Senior State Counsel. I was awarded the British Chevening Scholarship in 2003 and concluded successfully my LL.M in International Human Rights at Essex University, Colchester. Since August 2007, I have joined the Prime Minister’s Office as Data Protection Commissioner and I am also a member of the Francophone Association of Data Protection Commissioners and GPEN Network. In March 2011, I was appointed data protection and human rights expert by Interpol and a member of the Commission for the Control of Interpol’s Files. In September 2014, I was appointed UN expert by joining the UN Global Pulse Data Advisory Group. I have published various articles in international journals and guidelines on data protection.